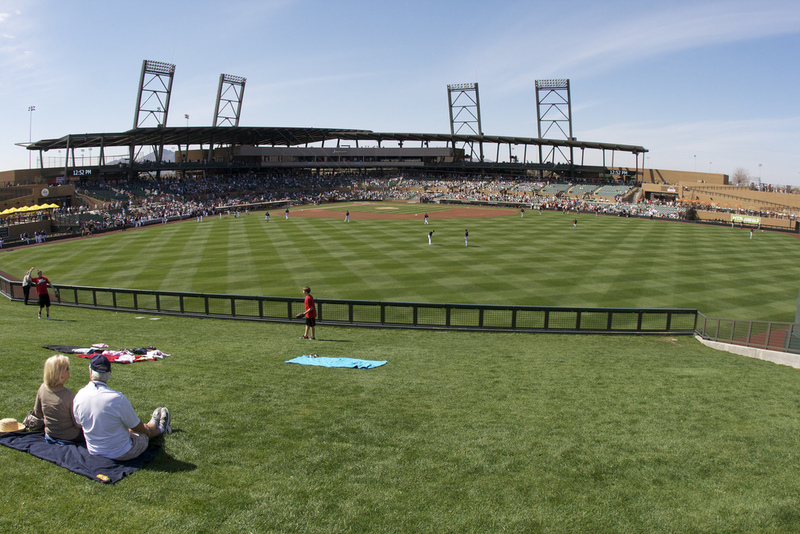 Both the Arizona Diamondbacks and Colorado Rockies moved from Tucson to Scottsdale’s Salt River Fields in 2011. The $130 million ballpark features 7,000 seats and seating for 4,000 in the lawn-berm beyond the outfield wall. The largest scoreboard in the Cactus League, 24ft x 48ft, can be found at Salt River Fields. Other features include three party decks and 12 practice fields.